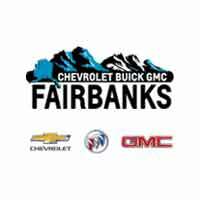 Welcome to Chevrolet Buick GMC of Fairbanks’s Automotive Parts Department! Have you been struggling to track down OEM GM parts for sale near North Pole, Fort Wainwright & Delta Junction? At Chevrolet Buick GMC of Fairbanks, we know that what you get out of your car depends on what you put in your car. OEM Chevrolet, Buick, GMC replacement parts offer quality and durability often not found with other after-market car parts. Keep your car or truck running like new by ordering genuine GM replacement parts for your vehicle at the Chevrolet Buick GMC of Fairbanks Parts Department. When you call or stop into the Parts Department at Chevrolet Buick GMC of Fairbanks, located conveniently near North Pole and Fort Wainwright, our Chevrolet, Buick, GMC experts will help you order the right GM parts for your upgrade or repair. We’ll help you avoid ordering the wrong part to make sure your repair doesn’t take longer than expected. You can also order OEM Chevrolet, Buick, GMC replacement parts from us online. We’ll ship to your home or you can pick up at our auto service center in Fairbanks. Stop into the Parts Department at Chevrolet Buick GMC of Fairbanks and let us help you personalize your car or truck. We offer a large selection of GM Accessories, designed especially for your Chevrolet, Buick, GMC, that will give your car a unique look and feel. Our GM accessories will also maintain or enhance the performance of your vehicle better than other after-market accessories.